Wear this T-Shirt from the house of Louis Philippe to become the style icon among your friends. Featuring a solid pattern, it also comes with a polo collar that lends it a distinct appeal. 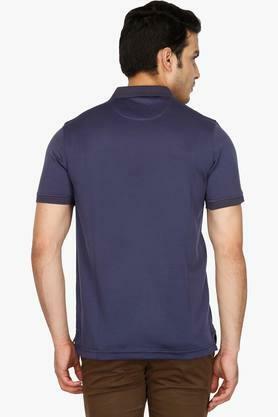 Further, the short sleeves that it comes with add to its design while the vented hem further accentuate it. 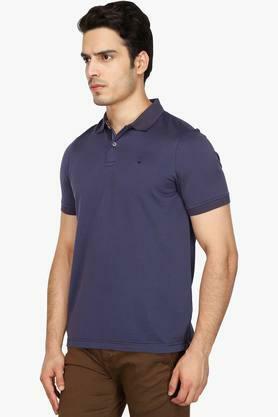 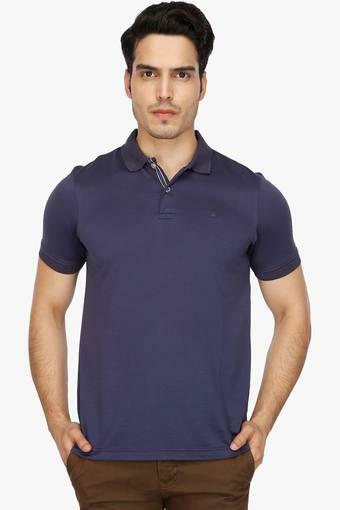 Flaunt your style sense by wearing this polo T-Shirt. 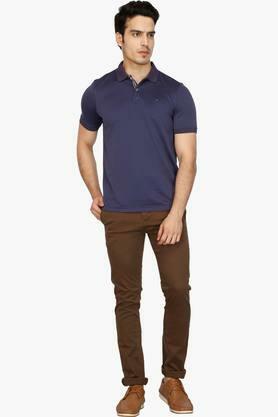 You can wear it with a pair of jeans and boat shoes to complete your look for any casual occasion.